The Ohio Academy of Family Physicians is made up of physicians who go above and beyond their call of duty. Each individual provides a very important component to their community and to the people they serve. This year, the OAFP is pleased to sponsor the following awards and is actively seeking nominations for each category. The deadline for 2019 awards nomination is Friday, March 15. This award recognizes family physicians that have exhibited extraordinary, beyond-the-call-of-duty merit, articulated and encouraged members and students to pursue the ideals of family medicine, and conveyed these ideals to the public. 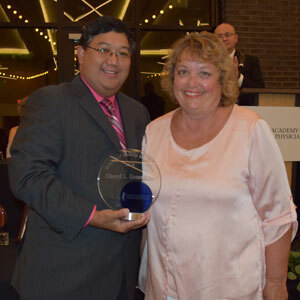 Nominate an individual for the 2019 Family Physician of the Year award. Is active in the community, education, or other public affairs. Nominations may be made by any OAFP member, local constituent chapter, family medicine residency program, department of family medicine, or community individual. To check a physician’s membership status, please contact the OAFP staff or call 800.742.7327. Individuals who have been nominated but not selected in the past can be nominated in subsequent years. The top three physicians who were nominated but not selected for the 2018 award will automatically be considered as candidates in 2019. This award recognizes family physician teachers who have exhibited extraordinary, beyond-the-call-of-duty merit, articulated and encouraged members and students to pursue the ideals of family medicine, and conveyed these ideals to the public. 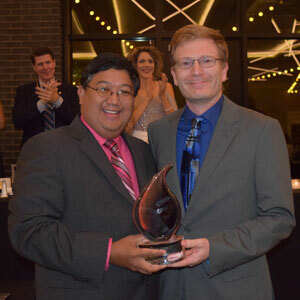 Nominate an individual for the 2019 Family Medicine Educator of the Year award. Is actively caring for patients. Nominations may be made by any OAFP member, local constituent chapter, family medicine residency program, department of family medicine, or community individual. To check a physician’s membership status, please contact the OAFP or call 800.742.7327. Assim AlAbdulKader, MD has led and voluntarily participated in health awareness campaigns in Saudi Arabia, has a passion for working with underserved populations, and believes that family medicine is the backbone of a ‘healthy’ health care system. 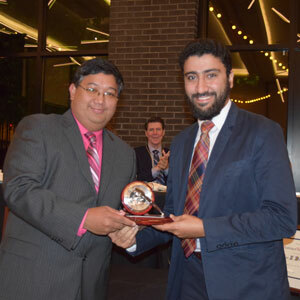 Congratulations to our 2018 Resident Leadership Award recipient Assim AlAbdulKader, MD! Nominations may be made by individuals who have knowledge of the nominee’s accomplishments including OAFP members, faculty, office staff, health care professionals, and fellow residents and medical students. A nominee must be a resident member of the OAFP. To check a resident’s membership status, please contact the OAFP or call 800.742.7327. This award recognizes an elected official, member of the media (individual or organization), or community individual who has worked on, been involved with, or reported on issues related to family medicine in Ohio. Congratulations to our 2018 Friend of Family Medicine Award recipient Cheryl Grossman! During her 8 years as a state representative, Cheryl Grossman advocated tirelessly for the specialty of family medicine and was largely responsible for passage of House Bill 145, legislation that seeks to ensure that under certain circumstances, physicians can seek confidential treatment to improve their health and well-being without fearing disciplinary action from the State Medical Board. Community individuals who have played an important role in family medicine. For members of the media, the person making the nomination should include a copy of any articles, broadcasts (date and title of story that aired is sufficient), or other examples of work that exhibit the nominee’s support of family medicine. For elected officials and community individuals, the person making the nomination should include a letter of recommendation not to exceed two pages and any examples of work that exhibit the nominee’s support of family medicine if applicable. Any work, articles, or broadcasts that represent a nominee’s support of family medicine must have been completed between January 1 and December 31, 2018. Presented yearly at the discretion of the OAFP Board of Directors, this award honors an Academy leader who best champions the mission and vision of the OAFP to improve the health of patients by advocating for and advancing the specialty of family medicine and providing valuable solutions to the diverse needs of members. Ryan Kauffman, MD, FAAFP, has always been willing to jump in whenever help was needed, but most notably, he championed the development of the Academy’s quality improvement learning management modules on hypertension, breast and cervical cancer, and diabetes – an endeavor that began in 2014 and is still going strong. He has been instrumental in mentoring upcoming leaders and truly embodies all that the OAFP represents in regards to leadership. Congratulations to our our 2018 Torchlight Leadership Award recipient Dr. Kauffman! The American Academy of Family Physicians also sponsors a variety of awards each year. If you would like more information on national awards, please contact the OAFP or visit the AAFP website.